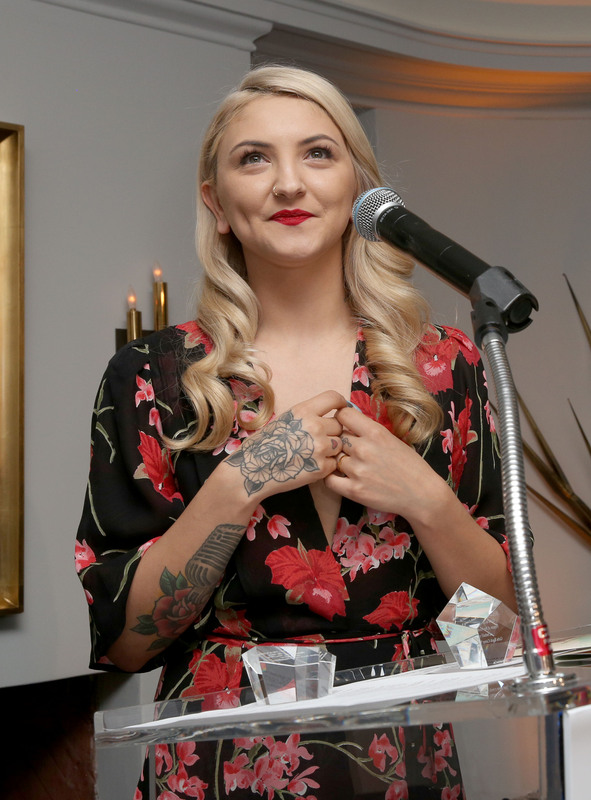 Even though you might not be familiar with her name, you've most definitely heard one of Julia Michaels' songs before. At 22 years old, the writer and performer has already had incredible success writing music for some of the world's most famous artists. And now, it looks as though she's about to break into the mainstream herself: Michaels is set to perform alongside Kygo at the Olympics closing ceremony for Rio 2016 on Aug. 21. But, who is Julia Michaels, and which world-famous artists has she written for? The reason Michaels is performing in Rio is because she sings on Norwegian DJ Kygo's song "Carry On" from his album Cloud Nine — a song she also co-wrote. That the songwriter will have the chance to perform at such a prestigious event is beyond exciting, and is more than enough reason to examine her devastatingly impressive discography. I can't even think of what I achieved by the time I was 22, but it wasn't even a fraction of what Michaels has done. The songwriter was born in Davenport, Iowa in 1993, but she grew up in California and has been singing since she was 12. She broke into the industry in a major way in 2013 when she co-wrote songs for two incredibly successful artists — Demi Lovato's "Fire Starter" and Fifth Harmony's "Miss Movin' On." And since then, she's worked with just about everyone. We had some songs on The Hills and in commercial promos for The View. Then, when I was 17, we tried for our first theme song for the Disney show Austin & Ally . And we got it. Clearly, Michaels's songwriting talent was evident early on, and since then she's written for world-famous singers including Justin Bieber, Kelly Clarkson, Rita Ora, and Selena Gomez. And that's not all — recent work from Michaels includes three tracks on Britney Spears's new album Glory, including latest release "Do You Wanna Come Over?" Plus, Michaels clearly hit it off with Gwen Stefani, as she co-wrote 12 tracks on 2016's This Is What The Truth Feels Like , including the singles "Used To Love You" and "Misery." Wow — just wow. With collaborations with Hailee Steinfeld and Nick Jonas also under her belt, it feels as though Michaels is about to go stratospheric. A performance alongside Kygo at the closing ceremony of the Rio Games 2016 feels like the perfect place for the writer and performer to introduce herself to the world.